I need a holiday from my holidays. I'm actually looking forward to getting back to a regular schedule now, those two weeks were crazy busy. Xander loves the Vita he received for his birthday and has been happily playing it all the time. I can't wait to get a chance at it, Tearaway and Gravity Rush look awesome. I haven't had much time this week to play but I did manage to sneak in a couple play sessions. My wife and I *just* finished The Last Of Us tonight. I still haven't fully digested the experience, but it wouldn't be my pick as "Game Of The Year" from what I played this year (keeping in mind that lots of stuff I played this year wasn't released this year). I think either Far Cry 3 or Tomb Raider would have been my favourite, but I played loads of great stuff this year. The Last Of Us is an amazing experience though and should be played by all, but it isn't without issues. It really feels like the game didn't get a full cycle of testing and tweaking to really polish it off. It looks incredible for a console game and the gameplay and sound design are top notch. There are just issues such as people grabbing or shooting me through walls, plus other collision and clipping issues that detract from the overall perfection. There are also other choices that seem a little "broken" to me like checkpoint restarts that start me off further in the game than I actually was and enemies with guns that never seem to run out of ammo or enemies with guns who I stealthily kill that drop no ammo or weapons. 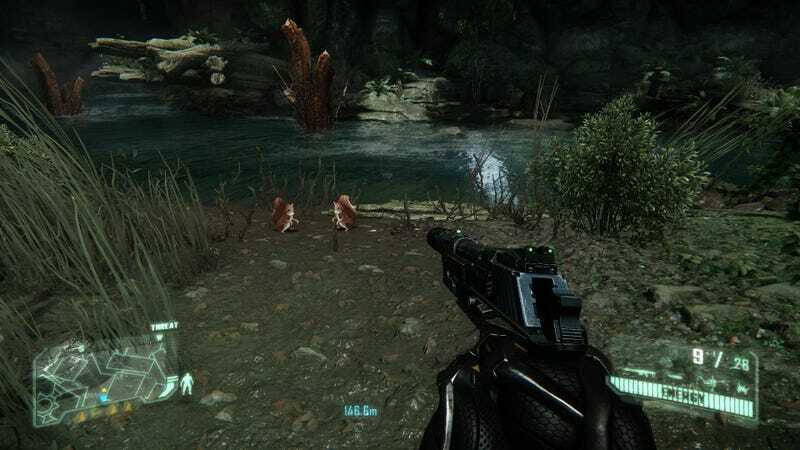 Other than The Last Of Us, I had a little time to play a bit more Crysis 3. Not as much as I would like, but I'm having a grand time with it. It feels a lot like Crysis 2 in many ways, though the level design and graphical prowess far exceed that of Crysis 2. I hope I'll have more time with Crysis 3 this weekend. The other thing I did this week was play with the Dolphin emulator. I'm always a little leery to talk about emulators as there is a very dark piracy side to emulators. However, I own the system and games I emulate and don't exceed those boundaries, so I personally feel OK with the subject. The Dolphin emulator is pretty impressive. Initially I undertook the project of getting it up and running at the request of Xander. He was watching some Youtube videos of the emulator and wondered if we could try it. Now that I've got most of the kinks worked out, it might actually be the solution I want for finishing off my backlog of Wii titles. I've enjoyed many games on the Wii, but the sub-HD graphics are somewhat painful for me to look at now. Coming from PC games where I obsess about every jaggie and blurred texture, turning to the Wii is downright depressing from a graphical fidelity standpoint. So, holidays are winding down and all the free gaming time is coming to an end for many. What are you playing this weekend?